Disclosure: We received footwear in exchange for our honest review. All opinions are honest and our own. It's Here, It's Here! The time to go back to school is here! My daughter attends a Daycare/Preschool for Children 2+ and when school's out, she continues to go for a full fun day of play. Many schools have recess or outdoor play and it's important to send your kids to school with shoes that have the right outer soles. 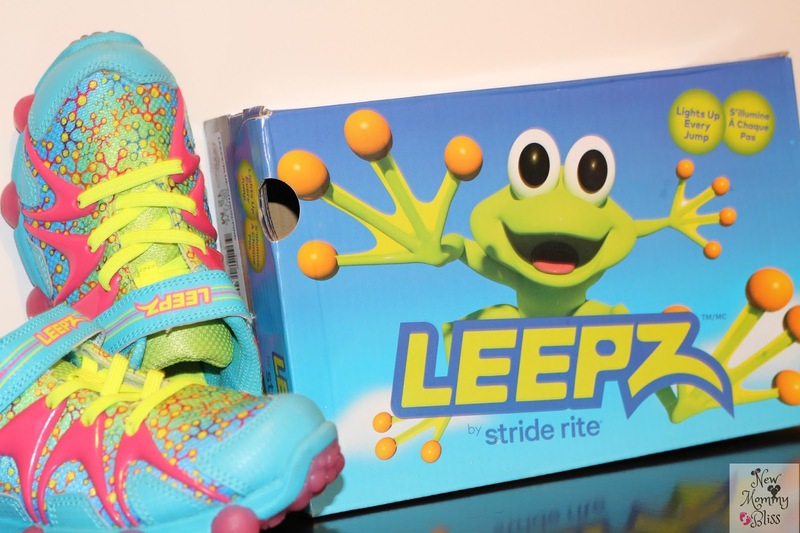 All they need is some real floor grip and a way to light-up the playground runway with Stride Rite Leepz! My child is extremely active. 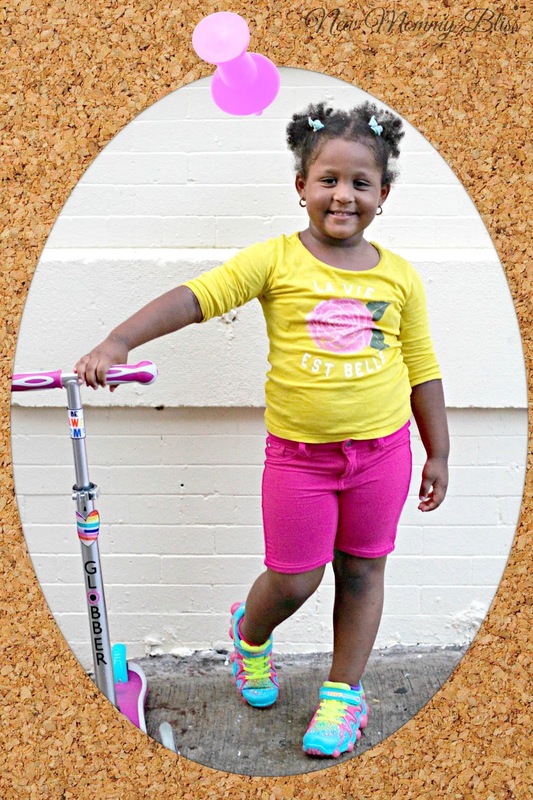 She loves to run, jump, climb, and ride her scooter until her legs start cramping. Have you ever bought your child some kicks and noticed their feet slip a bit too often or they trip a lot? It may have to do with the style, design, or even the shoes' quality. For years, I have been a fan of Stride Rite because of the shape of the shoes. They are shaped like a child's foot. They have yet to disappoint me and adding these fun sneakers to our wardrobe makes my kid happy too. Stride Rite Leepz are extremely flexible, with a lightweight midsole that allows for maximum child movement. Within the design is also a mesh anti-stink lining to help make these Leepz a light and breathable sneaker that any kid will enjoy wearing. The variety of colors available make it real easy to get the perfect pair that your kid will love. Our personal favorite is the Blue/Citron/Pink color, but there are many more to choose from. Overall, I truly wish these shoes came in my size. I love the super cute design and I didn't mention it before, but I am certain that you noticed the "Frog Hands" styled Sole. That's what helps the shoe grip and that's where they light up. Now's your chance to win a pair for your mini Jumper! Enter Below and Good Luck! I like the dark pink. I like the Purple / Lime shoes. I would get the Purple / Lime if I were the winner. They are all so cool! Thank you for the chance to win them! My daughter loved her StrideRites back in the day! These are super cute and any kid would love to wear them! I would choose the pink ones for my granddaughter. JustaBXgirl is all about the pink! I like the blue for my son. I love the purple/lime ones~! These shoes are adorable! I think one of the best investment for back-to-school has to be your babies' shoes. Which reminds me I have to do that times 3 real soon. 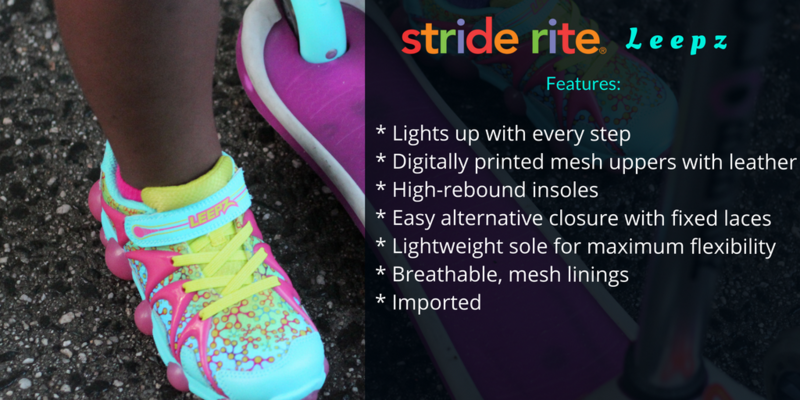 Stride rite is such a good brand! We have had quite a few pairs of their shoes in the past and the kids loved them! These shoes are absolutely Adorable! Kids have the most fun things to wear! Alas, even my grandkids are grown up, however we're hoping for more in a year or two!! Can't wait to start shopping for little one's stuff again!! I adore these cute shoes! My son is a preschooler too and Stride Rite is our go-to for shoe shopping! Oh wow I really like those Stride Rite Leepz! What kids wouldn't love these guys? I really like the pink ones! My son would love the black or blue ones! I grew up wearing Stride Rite shoes and appreciate the quality they provide. My kiddos have worn them, too, and I'm impressed with the style & construction! I have 2 nieces and a nephew who love these shoes. They are so much fun. These looks like so much fun! My daughter would love them. We always shop at Stride Rite. I think the black or blue & green would go over well with my little one. Those are some cute shoes. I love light up shoes they are the best. i will have to check these out fro my nieces. The pink ones look lovely. My cousin will be eyeing up these shoes I can tell, thanks for letting us know as I have never heard of the brand before ! I would choose the blue/lime sneakers for my grandson. I like the Blue / Citron / Pink color. Those are SUPER cute!! 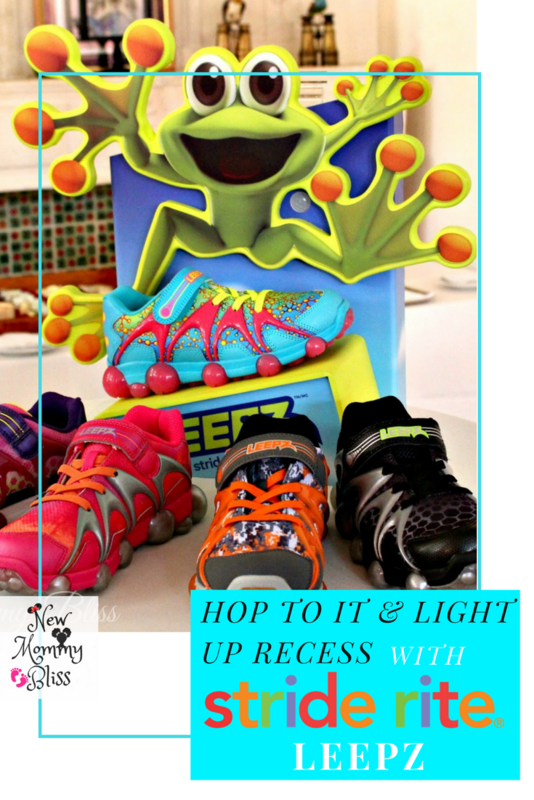 My kids are going to love shoes that light up! Thanks for posting! I like the lime & purple. My favorite is the blue/citron/pink. they are super cute. I love the blue/lime color! I like the Blue / Lime. I like best the Black/Grey! I'd pick the purple/lime combo! My daughter would love the pink color! I like the Blue / Citron / Pink. I love the big kids Stride Rite Leepz in the blue,citron, and pink. I like the pink ones. They're so cute! My daughter would love them! I would choose the pink for my daughter. I would pick the grey/orange for my son. He loves orange. Awesome! Thank you ad I just sent in my info!